Dancing With Wolves 2013: Omaha, NE | Schwervon! ← We’re on 90.1 FM: KKFI’s “Under the Radar” Tonight! Today we hit the road and head North to Omaha, NE for our Midwest US Dances With Wolves Tour. It’s getting a little chilly but, hopefully, we’ll stay warm by dancing with the wolves. I also packed a pair of Long Johns just in case. We re looking forward to making some new friends and celebrating a new release by Lot Walks. 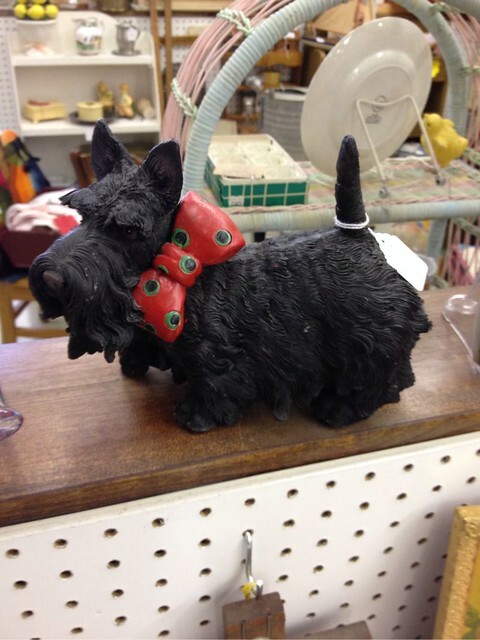 And just to get your Friday started right, here’s a picture of a small sculpture of a dog wearing a bow tie. This entry was posted in Uncategorized and tagged bow tie, Dances with Wolves, Dog, Lot Walks, Midwest US Dances With Wolves, Nebraska, New Friends, Omaha, Rock Music. Bookmark the permalink.